Hurricanes Florence and Michael spared the Low Country but they present a good opportunity to remind everyone about precautions as they relate to insurance. One good thing about hurricanes and the resulting flooding is that you do have time to prepare, time to think about insurance and documentation, and time to make a plan. From an insurance standpoint, probably the most important item is to read your policy. Then, to facilitate the claims process, document what you have in your home and garage. An inventory list is the best documentation but also a very time consuming task. An easier and quicker method is to take photos with your phone. Photograph furniture and electronics, kitchen area and laundry rooms, open closets and photograph clothes. Remember your china, silverware, jewelry, and books. Include your yard maintenance equipment. Such photos will make the insurance adjuster’s job much easier and your claims process much less stressful. Keep the photos in two places - i.e. on your phone and downloaded to a stick drive or computer. While making this documentation, make a separate list of those things you can take with you in case you evacuate. Include family photo albums, jewelry, and those irreplaceable heirlooms that are hand-me-downs from parents or grandparents. Smaller electronics like cell phones, IPADs, etc. should make the journey with you. You may be surprised how much you can get in your car (or more than one car) when you have planned ahead. Take the stick drive with the photos! Make sure to include your pets, pet food and water on your list!! If you are concerned about flooding in your home, move smaller items to a higher floor. Or stack them on top of tables, etc. Unplug your electronic devices to include toasters ovens, microwave, computers, etc. For heavier furniture, lift up one leg at a time and wrap the leg with tin foil. If you get just a few inches of water, the tin foil will prevent water damage to the wood. Roll up as many rugs as possible and elevate them. Preventing damage is far better than filing an insurance claim! 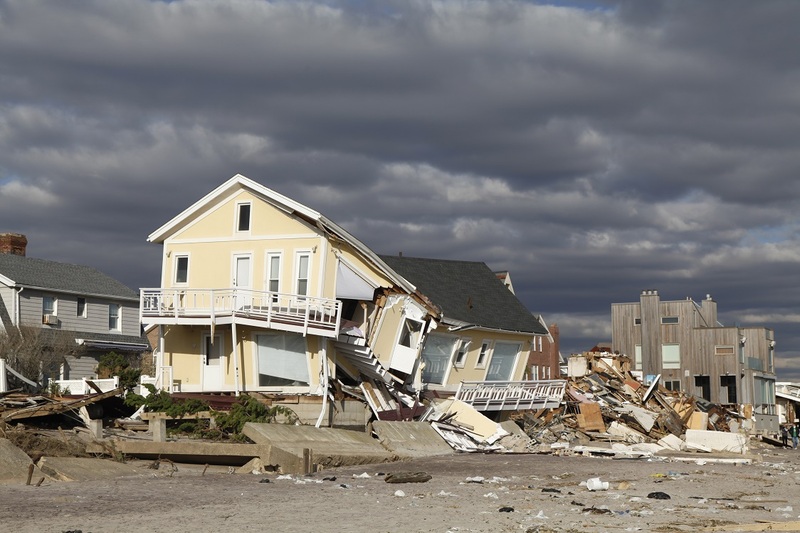 Be reminded you need a separate flood insurance policy as a homeowners policy excludes damage due to flooding. So the storm has come and gone. One of the least understood aspects of homeowners insurance policies regards downed trees. First, remember a storm is an act of God and no one is liable if a live tree falls. If your neighbor’s tree falls in your yard, it is your problem, and vice versa. Second, most insurance policies do not pay to remove downed trees. Rather they pay to remove the part of the tree that is on your house, shed, fence, etc. or that is blocking a driveway or handicapped persons access. Moreover, they will usually have a limit of $500 per tree and $1,000 for all trees. The Governor ordered an evacuation prior to the hurricane and before the river flooding. You spent hundreds of dollars on lodging and food while away from home. Will your insurance reimburse you? Sorry, but the answer is “no” in most homeowners policies. Definitely “no” in case of a flood insurance policy. Bottom line – Understand your insurance coverage and develop a plan before you need it, and then stick to the plan when Mother Nature goes wild.